The A.R.C. 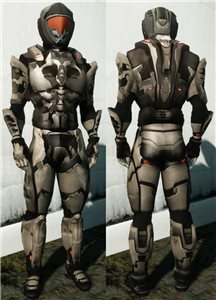 Guardian armor set is meant to be an improvement from the initial trade terminal armor with improvements made for melee combat. The parts of this armor.